Lynda's Recipe Box: April's Family Recipes: Memories of Family, Food and Fun! April's Family Recipes: Memories of Family, Food and Fun! I love the posts we received for April's Family Recipes. Such a variety of delicious food, and such wonderful memories are shared this month. I enjoy this event so much because the older I get, I realize how so many of my important memories are centered around food. It seems to be the same way for a lot of people as you'll read in these blogs. I hope you'll take time to visit each blog, and maybe you'll think about sharing a recipe and memory in June when Shelby, from the The Life and Loves of Grumpy's Honeybunch, will host the next Family Recipes event. So, here they are! 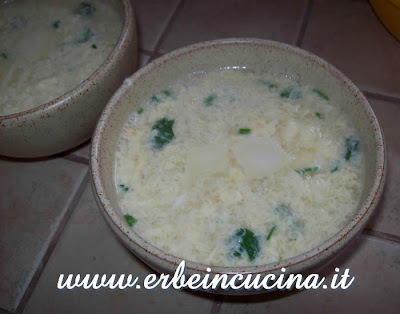 Stracciatella (Egg Soup), from the blog, Erbe in Cucina. This yummy soup with herbs, is a traditional Italian soup that will chase away any chill. 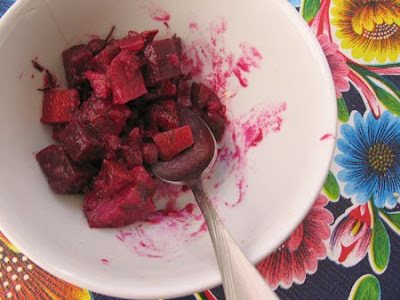 Vingret (Russian Beet Salad), from In My Box, is a Russian classic. Gorgeous color, surprising ingredients and great memories of time spent in Russia. 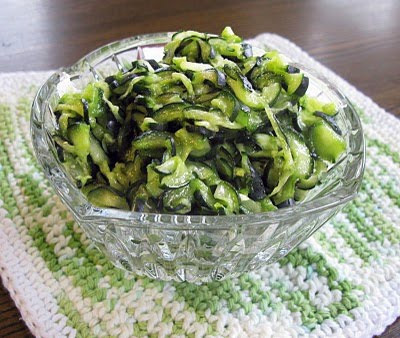 Japanese Cucumber Salad, from Katy at Food for a Hungry Soul. 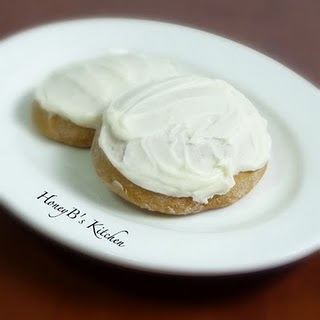 This delicious recipe is from Katy's dear mother. 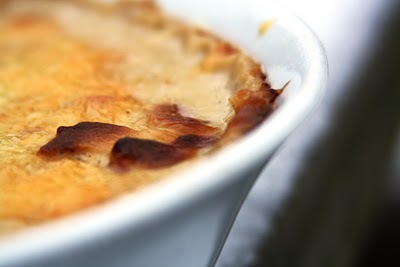 Gratin of Belgium Endive, from Hidden Glass House. This delicious recipe evokes memories of Ariane's dear Nana. You must read this. 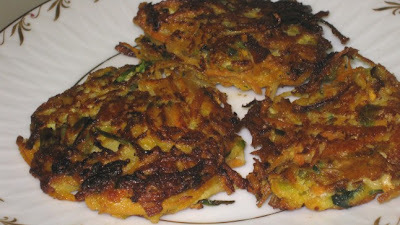 Vegetable Pancakes, from Chaya at Comfy Cook. These pancakes are filled with lots of vegetables. Check it out! Cabbage - Potato Crepes, from Chaya at My Sweet and Savory. This Passover dish sounds delicious! 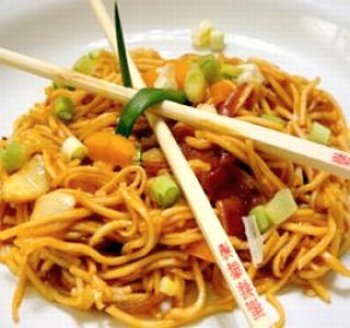 Spicy Asian Hakka Noodles (Stir Fry Noodles), are from Fun and Food Cafe. Mansi has been perfecting this recipe for years! 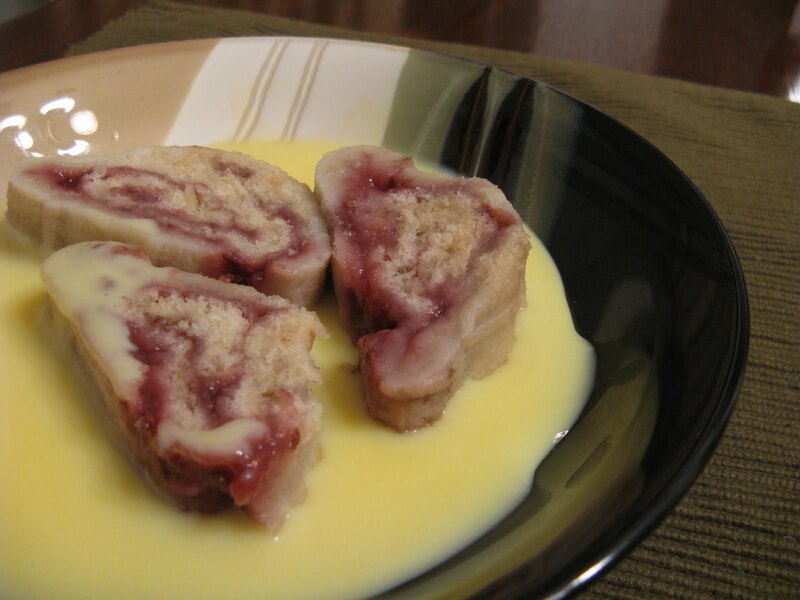 Jam Roly-Poly and Custard from Jan at Range Warfare. 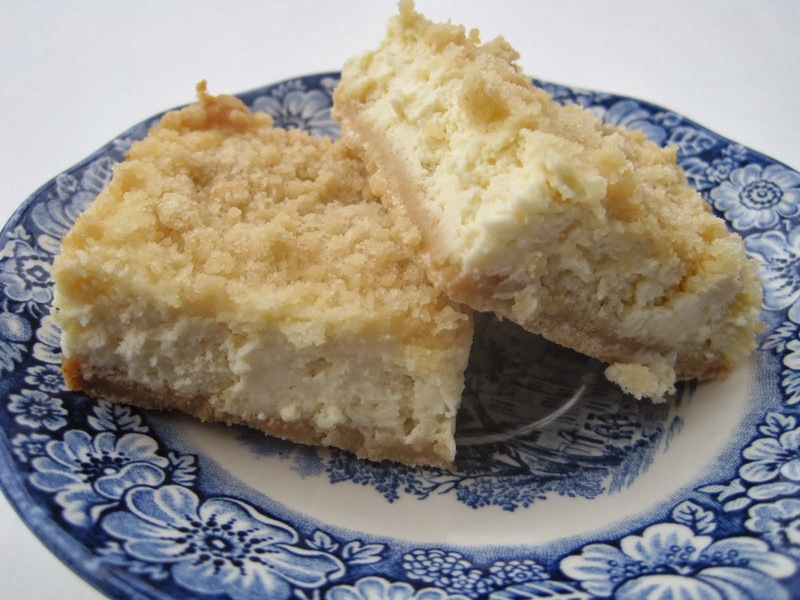 This English pudding is a favorite from her childhood school lunches! 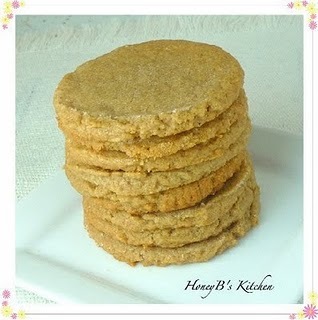 Bambi's Peanut Butter Cookies are from Shelby at The Life and Loves of Grumpy's Honeybunch. 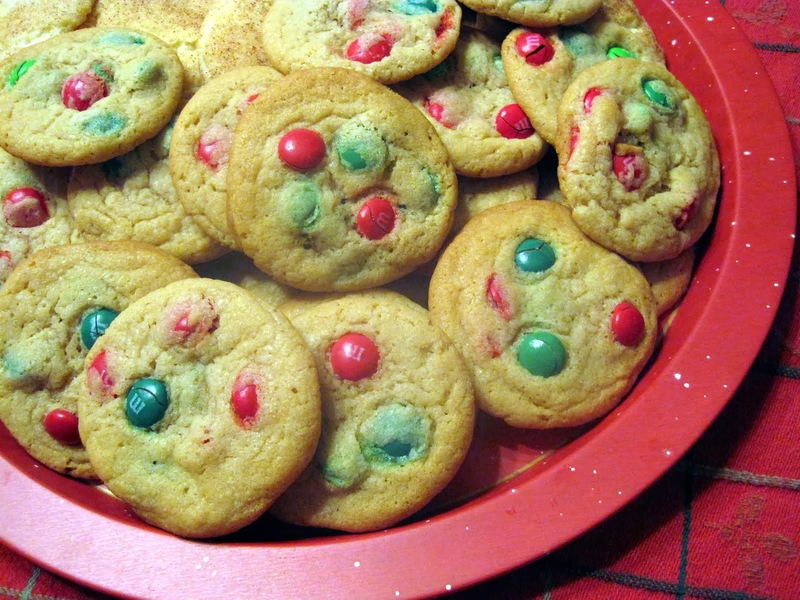 These yummy, flourless cookies are from her Dad's side of the family. Nanny's Ginger Molasses Cookies are from The Life and Loves of Grumpy's HoneybuncH, and were posted in March. A soft and yummy cookie. Since we didn't receive any submissions for March, we are posting this with April's submissions. 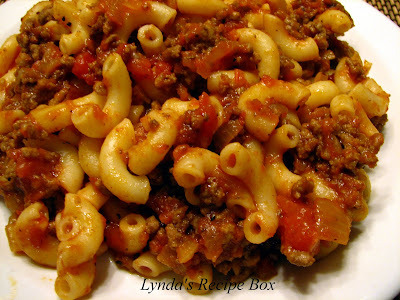 My Mother's Goulash, from me (Lynda), at Lynda's Recipe Box. 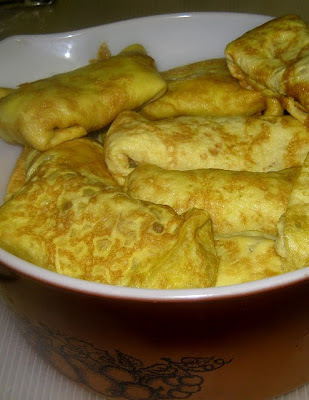 my mother made this quick and easy meal on very busy weeknights. My brother and I loved this dish, and so did my children. I appreciate everyone who submitted recipes for this months Family Recipes. Our Next event will be in June, so get your thinking caps on! Maybe you've got a recipe to share. Terrific dishes here, excellent roundup! So many to choose from - have seen a few of them and love the variety. All the dishes look so delicious!!! A great round up Lynda! what a scrumptious and meaningful collection of food! Great job, Lynda. And thanks for the trip down memory lane. Oh, I love this event. I'm marking it on my calendar for next month. My most treasured recipes are those that have been passed down from my grandmother and mother. Love your roundup! 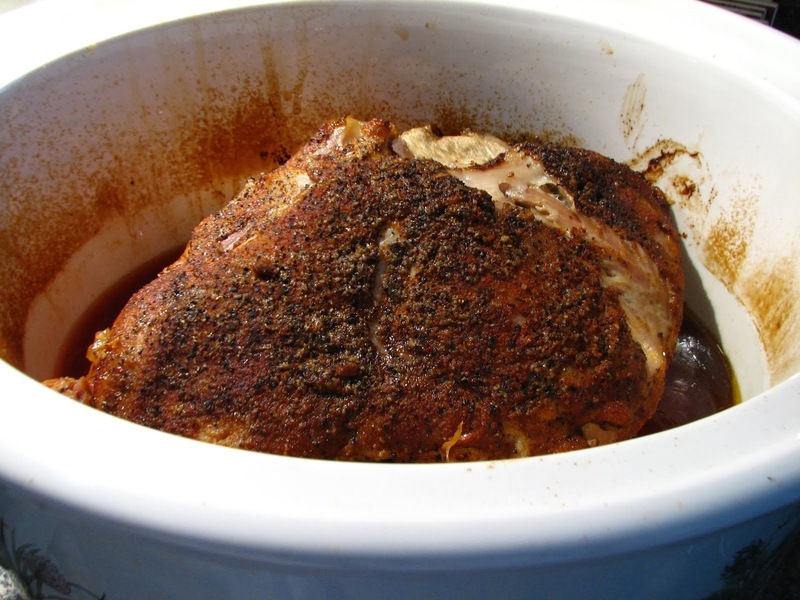 The recipes look wonderful and I clicked on several and was introduced to some new blogs. Thanksm Lynda! This is a really fun event! What a great international roundup this one was. I'll try to get a post up for the June one. Lynda, thanks for hosting this and for linking me up. I'm such a dork when it comes to all the technology stuff, smiles.